Hello. . . . . . is it me you’re looking for? Well its been a while hasn’t it, big plans for blogging last year mixed with a job and 2 kids resulted in very little writing, but Im back and promise to get back into the swing of things. Thought I would do a little catch up with you and show you that even though I may have been quiet on my own blog I was certainly very busy writing in other places. I will attach the links so you can have a look over the articles. I am super happy with everything that I achieved in 2018, I had a wonderful year of produce on my allotment and in my vegetable garden. I got to write articles for magazines, newspapers and even got to do so awesome videos with Anglian water. I did my first ever talk about mental health at the wonderful Norfolk show and met some wonderful friends along my wonderful journey with My Little Allotment. 2019 has some amazing projects in place and I cant wait to let you all know what I’m up too, just waiting for definite confirmation on some of them. Here is my video with Anglian water about my allotment and saving water. Catching up with the lovely Garden Stores team and updating them on my weird and wonderful pumpkins. Getting the girls on the plot using herbs written for Garden stores. The amazing Mr Plant Geek asked me to write about foolproof plants on the allotment for National allotment week. I was lucky enough to be invited to visit Glee in Birmingham and write a blog for their website. Glee was a wonderful event bringing together gardening buisnesses and people from the industry in an event showcasing innovative new products. I ended up in Kitchen garden magazine after doing an interview with the team. I got a column in Grow your own magazine with jobs to do in November. I also was asked some questions for Vegetairian magazine. I wrote a blog about mental health and growing your world in partnership with Fiskars tools. I attended my first ever gardening show at RHS Chatsworth, it was a wonderful experience and I cant wait to go to more shows this year. I did my first ever talk about allotment therapy and children’s gardening at The Royal Norfolk show. 2018 has been an amazing experience for me and has taken me to events, allowed me to write for newspapers and magazines, I did my first ever public speaking at The Royal Norfolk show about allotment therapy but most of all 2018 gave me an epic year on my allotment. I have had highs and lows with the success of vegetables on the plot, I grew things I never knew I could and spent time their working on my own mental health. 2019 for me will be a year of working for myself, going to the allotment more and making sure that I can be the happiest version of me that I once knew. Working for myself with give me more time with my daughters and alongside that having more time on the allotment and keeping my self well means I can be a better mummy for my beautiful girls. I really hope you have enjoyed my journey over 2018 and I hope you continue to follow me into 2019. I promise to bring more content to my blogs and social media sites including videos on my You Tube channel. 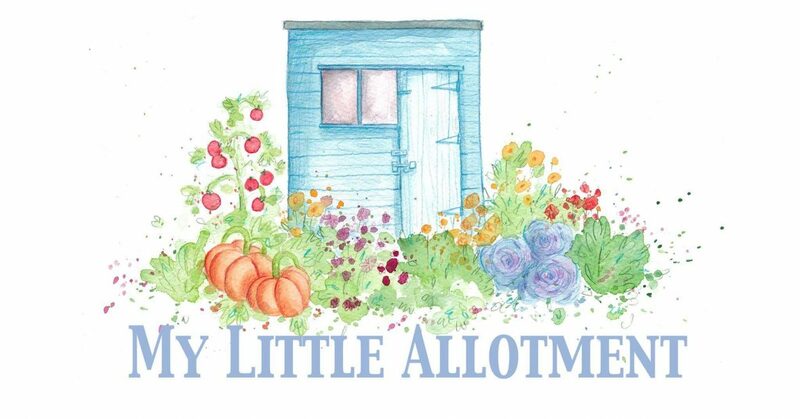 I want to bring more information about what I do on my allotment and in my home vegetable garden to make it successful showing my journey and failings along the way. Happy new year to you all (even though I’m late) I wish you all a fabulous year of growing.